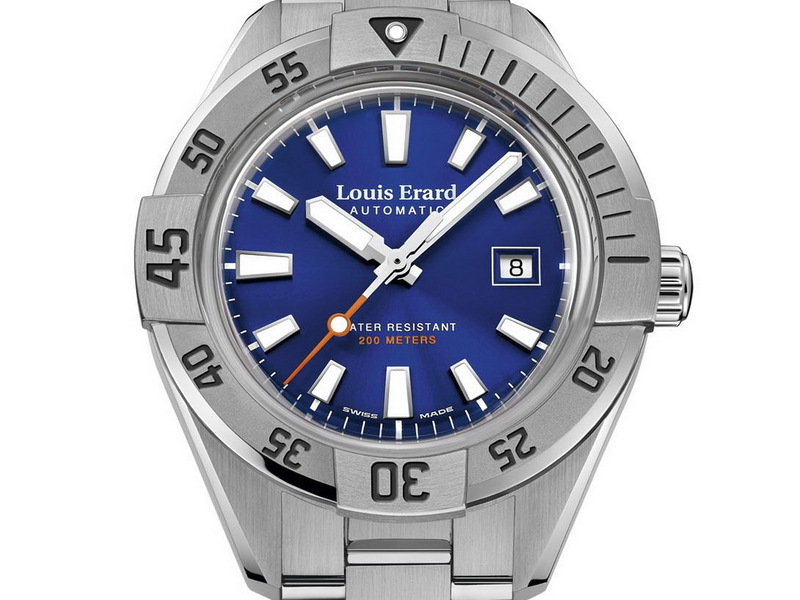 Here’s a pretty great looking new diver from Louis Erard, released as part of the Swiss brands’ new Sportive collection. 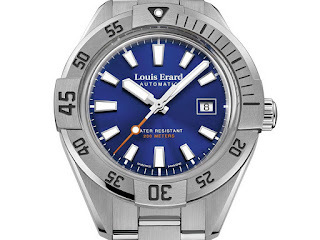 I’ve heard of the Louis Erard name before but honestly I have a little or no experience with them, so if you have, I’d love to hear from you. 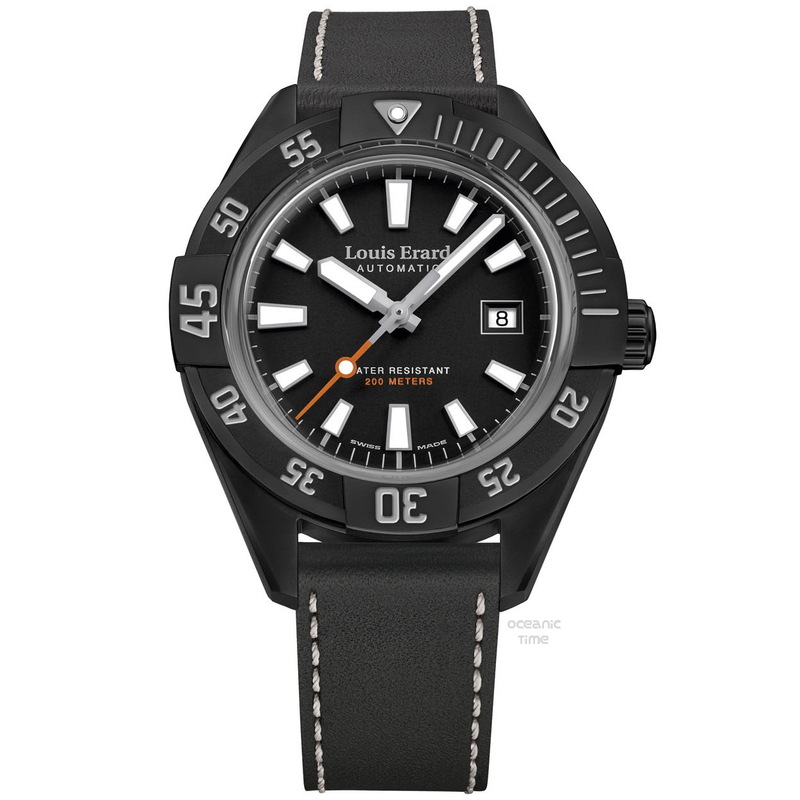 The Sportive Diver has a pretty familiar spec. 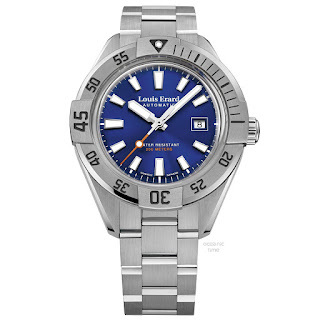 A satin-finished Stainless steel case measuring 44mm which is fitted with all the typical diver’s features: a high-domed Sapphire crystal, a screw-down crown and case-back and 200 meters of water-resistance. 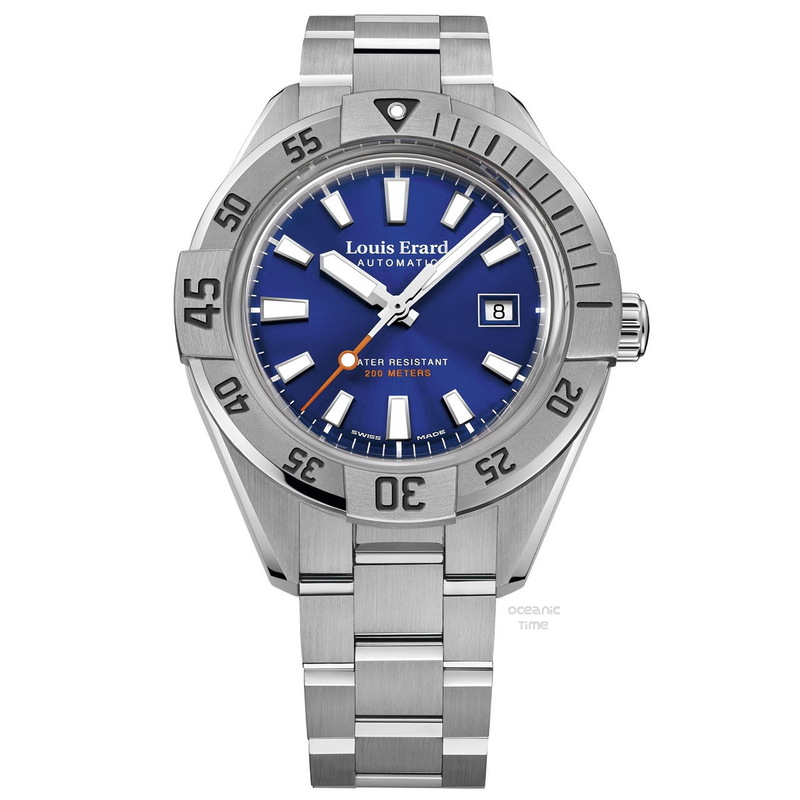 I’ve said this a thousand times before; the difference in production costs between 200 and 300m is negligible so why do brands so often just plonk 200m on their first attempt at a diver? Powering the Sportive Diver is a Sellita SW200-1 automatic movement. 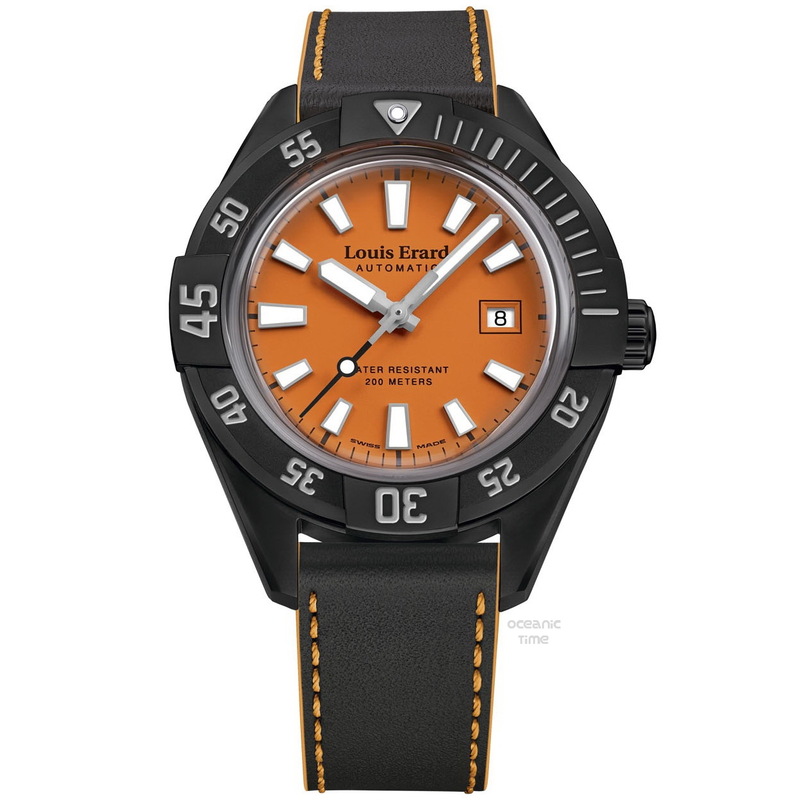 There are 5 variants on offer of which 2 are with black PVD. All steel versions are offered with the choice of either a leather band with contrast stitching or 20mm – 18mm tapering steel bracelet. 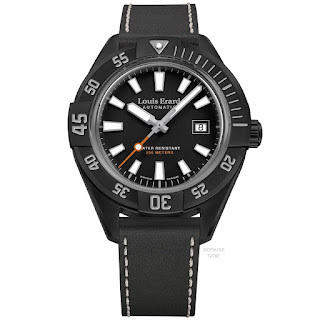 I am not convinced that this a typical brand that a collector would aspire to owning but if the price is right then the Sportive Diver is a good a looking dive watch as I’ve seen of late and I’m sure the quality would be on par with any other big Swiss brand. 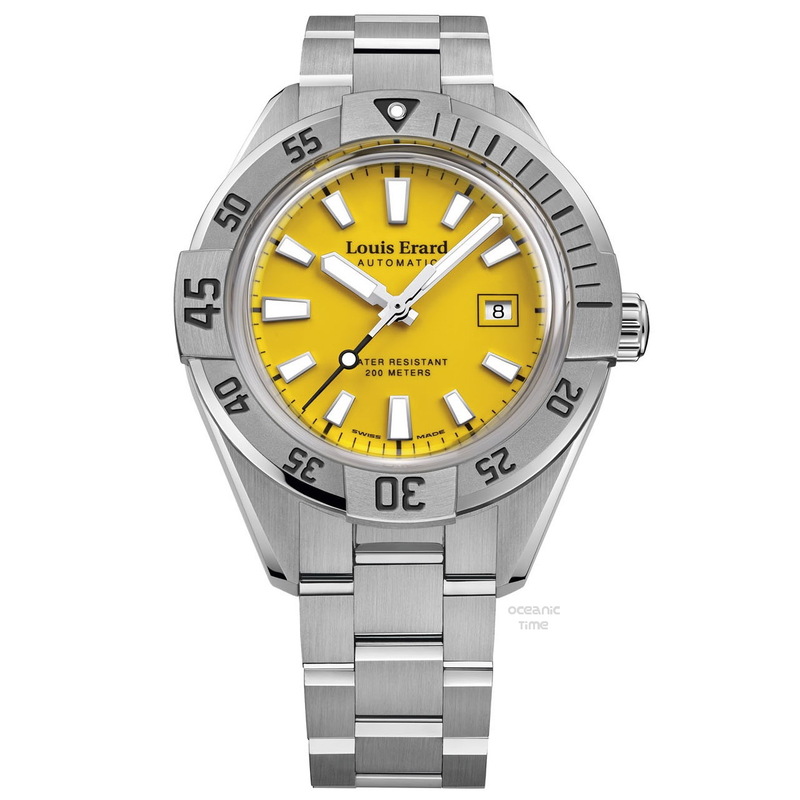 The quality of LE watches is on par with other Swiss brands in the segment. What I don't like is the logo: the font looks so ubiquitous like found on any newspaper... "Verdana" or "Times New Roman"?